I haven't been sewing much this summer. The girls have been hogging my sewing machines to make doll clothes and key fobs. I guess that is the downside of teaching them to sew. Now I have to share. I was pretty excited to get the chance to be a part of the grand opening tour for Project Run and Play's new shop because it meant that I could kick them off of my machine! 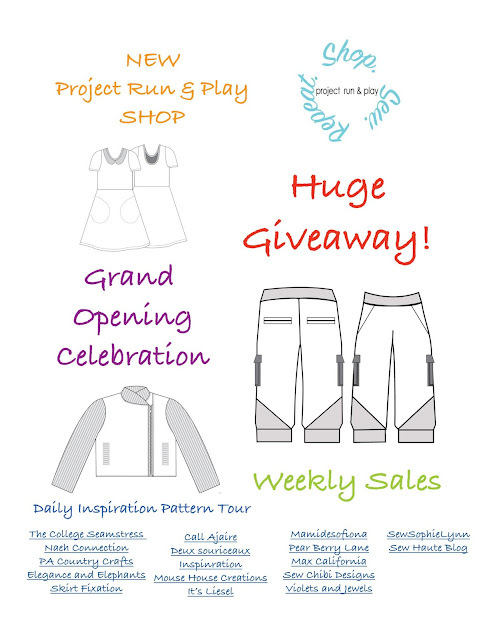 If you haven't heard, Project Run and Play is opening a new shop on the website where you can purchase patterns for past Project Run and Play designs! The grand opening event is going on all month long with a different theme (and a SALE!) each week. A bunch of seamstresses in the Project Run and Play family are sewing up pieces using these patterns to show you and this week's theme is dresses. 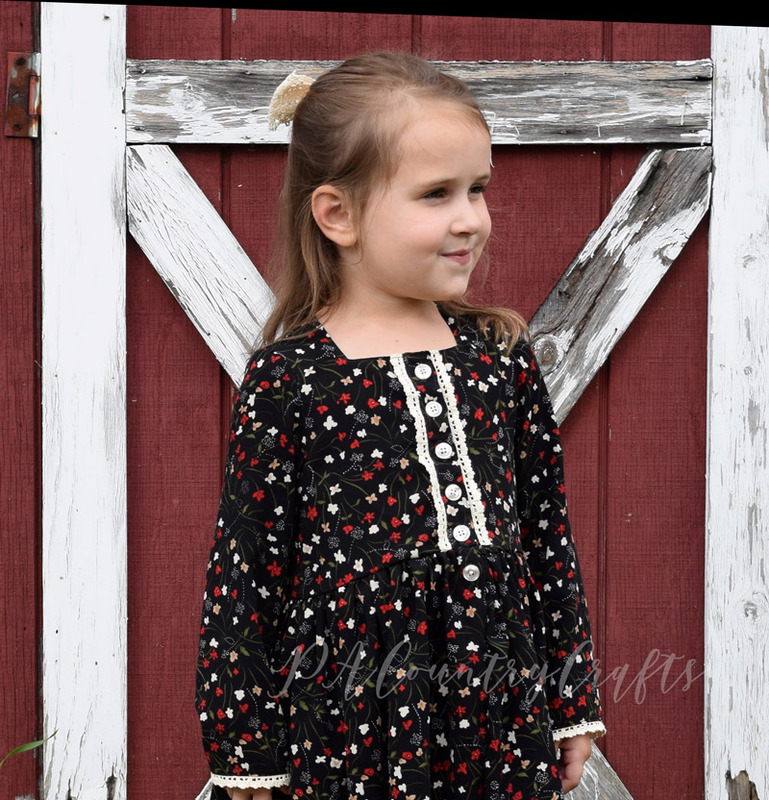 I sewed up a dress using the All Spice Dress pattern by Paisley Roots. There are so many different options that it was hard for me to make a decision. (Trust me, ever since Wendy's added the vanilla frosty there are no certainties in my life any more.) You can do sleeveless, flutter sleeves, cap sleeves, or long sleeves. You can also choose between buttons or a zipper in the front. I just needed some fall-looking fabric. The girls and I were picking up some other upcycle items at our local thrift store so I found a polyester skirt in the plus size section for $2.50. I could not have bought fabric yardage for that price! I washed it well and then kicked the girls out of my sewing area. I cut it carefully and had just the right amount of fabric. I kept the original hem, too. #lazysewing I lined the bodice with a soft sheet (leftover from lining THIS dress and a few of my Project Run and Play makes). The dress features a square neckline and an optional pin tucked bodice. I thought that the dark fabric needed a little something to break it up, so I made one big pin tuck and inserted little bit of lace in the fold. I love how it frames out the buttons in the front. Can I also just mention that I love how this dress opens in the front instead of the back? She insists on buttoning herself, so in the long run it will take her much longer to get dressed but I don't have to do it. I made this dress in a 4T as per her measurements and it fits perfectly! It is roomy enough to be comfortable and I used a narrower hem on the sleeves, so it should still fit her in the fall. My biggest mistake was making this cute, lace hair bow to match. Now she wants to wear that all the time and this is the only thing she owns that matches it. I promised to make more hair bows, even though I know that I should not negotiate with terrorists young children. Now, for the SALE I told you about!!! 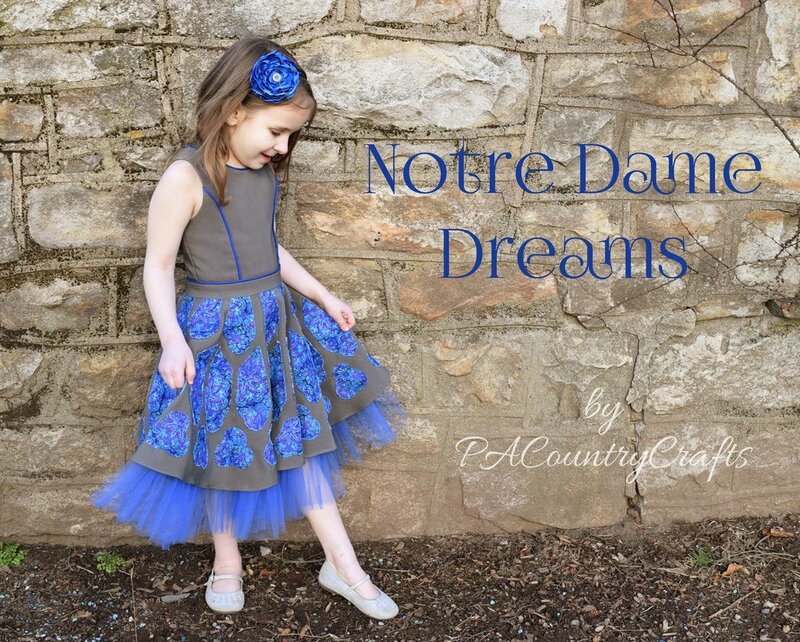 Since the theme this week is dresses, you can get 20% off of all dress patterns in the shop. This is a pretty special deal just to celebrate the grand opening of the shop, so you should probably jump on it now! Thank you to Project Run and Play for letting me be a part of the tour! Don't forget to follow their blog so that you can see what all of the other amazing bloggers make with these patterns!